Cloudy with a chance of … emojis? 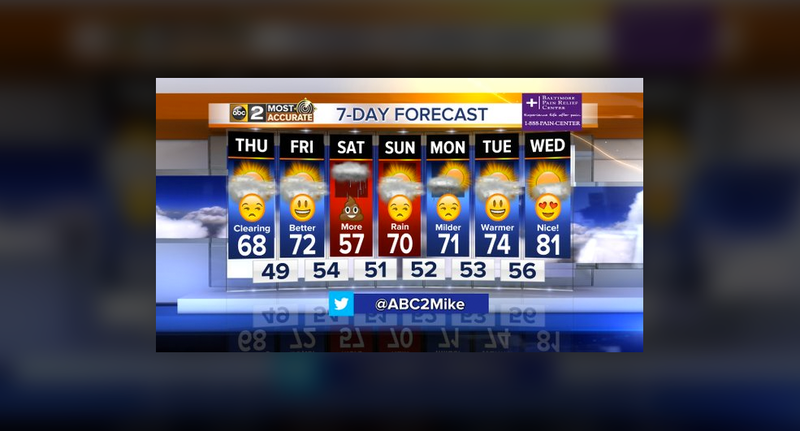 Mike Taylor, a forecaster at WMAR-TV in Baltimore, decided to get creative with his seven day board by adding emojis to each day’s traditional icon. Fittingly, Taylor used the emojis to convey the approval — or disapproval viewers would likely have with the weather on the day in question, including the use of the beloved poop emoji for a particularly unsavory day.